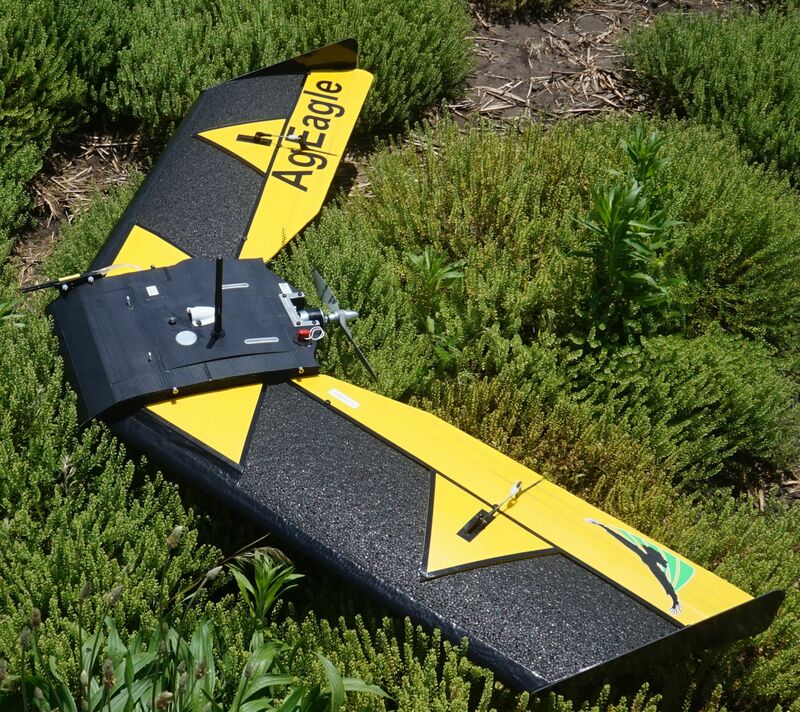 As distributors of the AgEagle, we are pleased to present the best Unmanned Aerial System for the agricultural market. 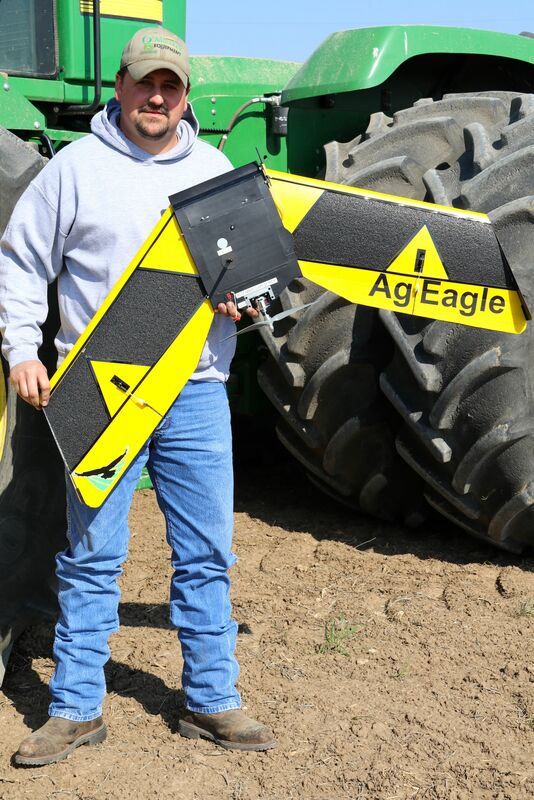 This flying wing has been specifically designed for ag use; built “tractor tuff”, with design input from agronomists, farmers and aviation specialists – the AgEagle is set to perform. Flying wings are far more stable in windy conditions, when compared to most other platforms. They also generally have greater endurance: the AgEagle can cover around 400 acres in a single 35 min flight. Simply program in the area to be imaged, add a few elements (wind direction) and the software creates a flight plan. After launch, handover to the computer and its all automatic after that. The AgEagle is a most economical piece of agricultural equipment, designed to Save Costs and Increase Yield. The Flying Wing aircraft: includes Flight Controller and Flight Planning Software. Autopilot Firmware and Software for Autonomous GPS flight. Computer Software to photo stitch all pictures into a single, printable image. Four LiPo Battery Packs and rapid Smart Charger. "Long Bow" Launcher with 8 bungees and Safety Pin. A simple laptop computer is required. Assistance with CASA documentation for Remote UAV Controller Certificate. A precision agriculture UAV (unmanned aerial vehicle) system designed and built for Australia. 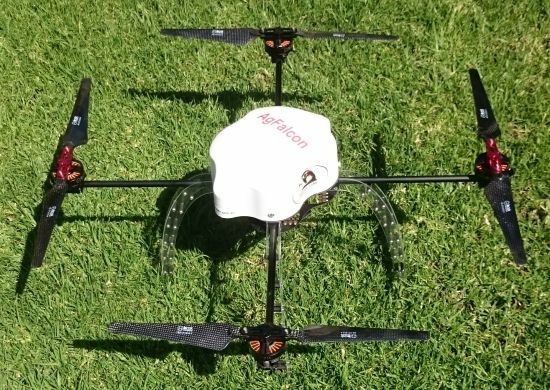 The AgFalcon hexacopter is a tough ag tool, capable of scanning between 100 to 120 acres of your crop, orchard or vineyard. With a spectral camera mounted underneath, taking images in the Near InfraRed wavelength; these can be used to create NDVI maps to pinpoint problem areas, or to show those plants that are very healthy and do not need any chemical treatment. Save money. The AgFalcon is also versatile - carrying a variety of cameras / sensors / even a bird scaring unit. The AgFalcon is ideally suited to operate on smaller areas. Those that are surrounded by trees, hills and can benefit from this drone's ability to hover. With on-board high definition video camera option, the AgFalcon can transmit live images back to your laptop; monitor stock movement, set a flight path to observe farm infrastructure, gates, water holes, fence lines. With a flight time of up to half an hour in video mode and having 6 motors for that extra 'insurance'. The AgFalcon can be your eye-in -the-sky. Made from advanced carbon fibre composites. Fast local servicing if needed and an auto pilot system that allows for very simple flight operations. Coverage: 40 ha / 100 acres in a 25 min flight. Fly 30 mins with lite weight video cam. Autonomous flight program; it will fly to the GPS points on your laptop. Auto launch and auto land. Manual control at any time. Materials are durable purpose built for the Ag world. 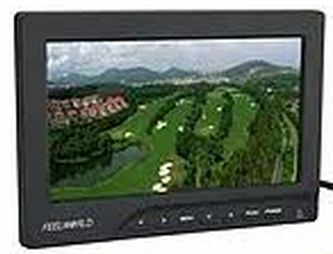 Optional Digital or Video cameras kits available. System comes with NDVI spectral camera and all image processing software. Also available in a 4 motor quad copter configuration. The AgFalcon UAV system is designed to instantly provide an eye-in-the-sky image. With the ability to hover, closer inspection of any paddock section or live stock may be seen. Using the NIR (Near Infrared) camera, the image created is an NDVI map indicating plant health. Ground proof these areas for specific solution treatment; either nutrition, infestation, weeds, etc. With the optional video kit, monitor farm infrastructure or stock movements. The high definition video camera transmits live images back to the base screen. Set a flight plan to either scan an entire paddock or to specific waypoints. The AgFalcon will auto land when low battery power is detected, Return Home function at any time. Fit our custom Bird Scarer to get rid of damaged birds. Folding carbon fibre props give quiet, robust flight and less prop damage on turn-over landings. Folding rotor arms for easy storage and transportation. Scan 100 to 120 hectares in a single 30 min flight. Create fast crop health maps; identify problems, save money on treatment costs. Fully autonomous flight; Android tablet does the flying and landing. Flies in windy conditions that would hamper hobby type quad copters. True NIR from Sentera NDVI sensor. Weighs less than 2 Kg for non-license requirement. We set it up for you, then train you on-site.